The Pont Alexandre III connects the 7th district to the 8th district in Paris. The bridge was opened for the 1900 World Fair and it is the most monumental bridge in Paris. The bridge was built opposite the arterial road in the centre of the Esplanade des Invalides to connect it to the Grand Palais and the Petit Palais, the new constructions which had been chosen to replace the Palais de l’Industrie. The 350 ft long and 147 ft wide bridge was designed by architects Cassien-Bernard and Gaston Cousin and was built by engineers Jean Résal and Amédée Alby. The difficulty was making the bridge flat enough to see the Invalides from the Champs Élysées without affecting the river traffic. The bridge was also named after the Tsar to symbolise the friendship between the two countries after an alliance was agreed in 1891 with Alexander III. The first stone was laid 7th October 1896 by his son Nicolas II and the bridge was officially opened 14th April 1900 at the same time at the World Fair. The entire construction is metal supported by richly decorated pylons and the unique arch was an incredible technical feat at the time. The bridge became national heritage in 1975. The bridge is also the starting point for walks along the river banks. The Seine zig-zags across Paris offering 5.6 miles of possibilities for delightful strolls dotted with monuments on both sides. The right bank recently became a pedestrian zone giving visitors more space to walk around and stop off at various cafés and restaurants, which have also become highly popular with the Parisians due to the unique new views. In fact, there are heaps of major sights to see by the banks, starting with the Grand Palais and the Invalides, for example. 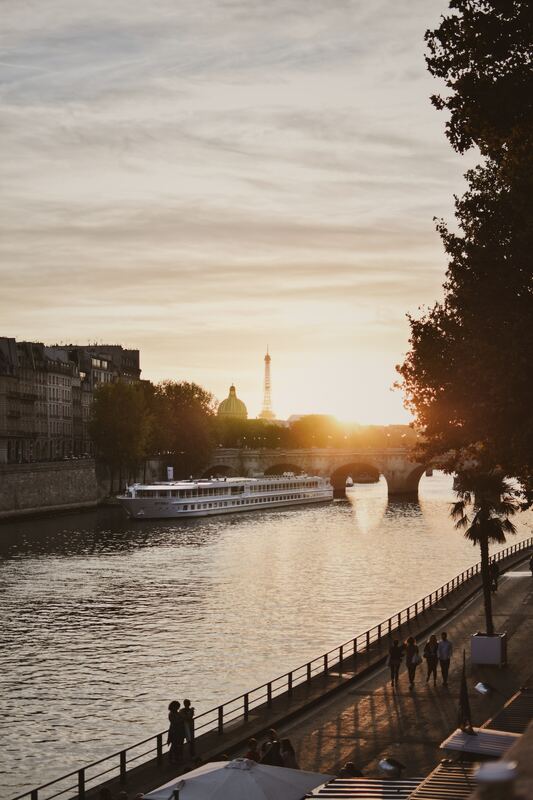 It is also an excellent opportunity to see the Louvre, Notre Dame, La Conciergerie, the Palais Bourbon (French National Assembly), the Palais de Tokyo, the Trocadéro Esplanade and the Eiffel Tower from a completely new angle. Old book lovers will stop off on the way at quai des Grands Augustins where all the booksellers (second-hand & antique) are located on the river banks.